Pre-K that aligns with Kindergarten in Connecticut—and beyond. Three- and four-year-olds are naturally hungry for active learning opportunities in a social environment. That’s why Strong Start’s Pre-K program delivers hands-on, authentic experiences led by professional teachers trained in the inquiry approach. We provide endless opportunities across our full curriculum, to help your child acquire the necessary skills and knowledge to create a foundation for success in school—and life. Learning what school will be like each and every day. 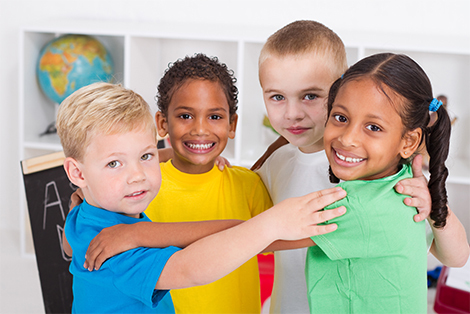 Our program aligns with the Connecticut Early Learning and Development Standards, supporting development across eight important domains: cognition, literacy, math, science, social studies, social-emotional, physical, and creative arts. Strong Start helps establish the emotional intelligence, technology literacy, communication skills and collaboration that your child will need to be a happy, productive and resilient learner in the coming years.